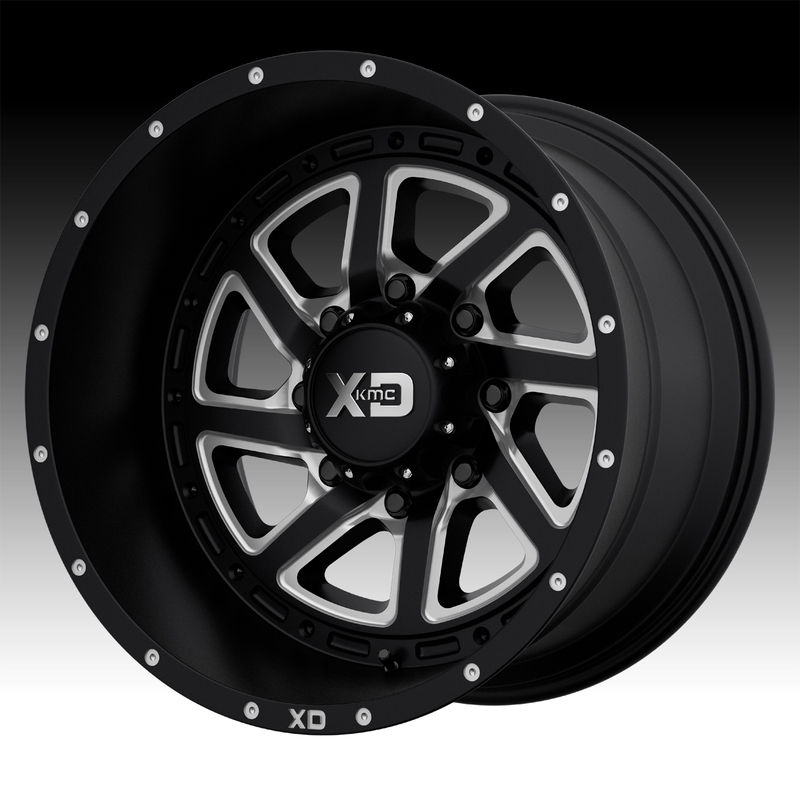 The KMC XD833 Recoil black wheel is available in 17x9, 20x9, 20x10, 20x12, 22x10 and 20x14 sizes. The XD Recoil included a red and black reversible ring. The XD833 can be run with or without the ring and the ring can easily be custom painted to your liking. 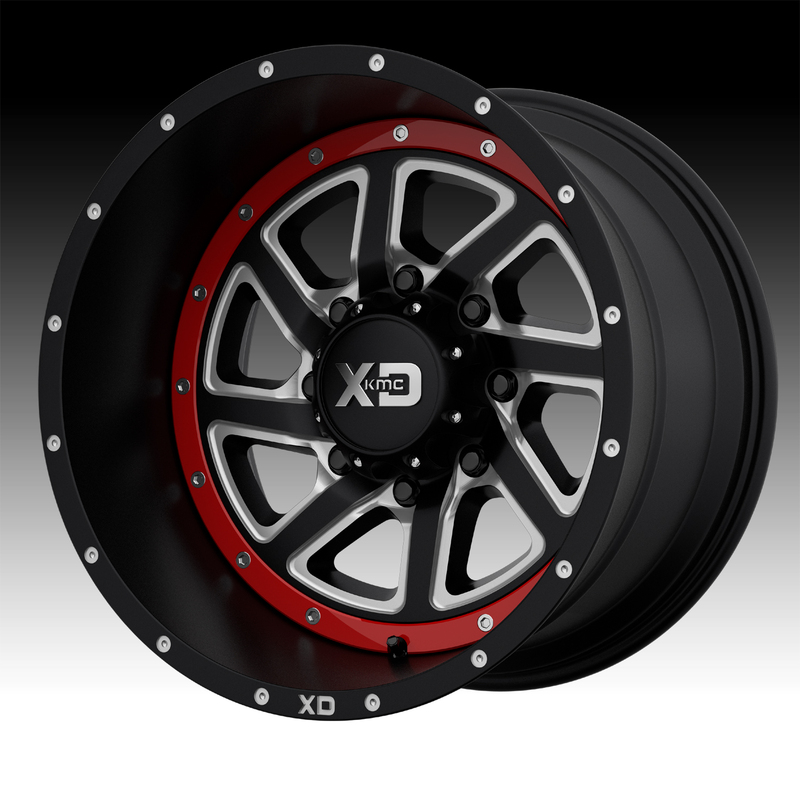 The XD833 is available for most trucks, Jeeps and SUV's. Standard, aggressive and lifted truck applications are available. Free shipping on all XD833 custom wheels. Free chrome lug kit with the purchase of 4 black XD833 Recoil wheels.